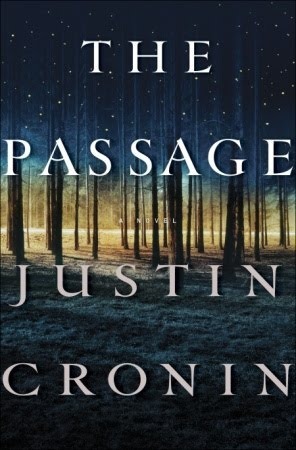 This novel by Justin Cronin is epic in the same way as The Stand by Stephen King is. I never thought I’d make that statement, but even Stephen King describes it as having “the vividness that only epic works of fantasy and imagination can achieve”. The Passage is the first in a trilogy (I shout “yay”!). It’s 785 pages in length, and the next two volumes in the trilogy are nearly as long. Genre-wise, I would describe it as a literary apocalyptic science fiction thriller. It also has vampires of a sort, but not like any you’ll have come across in fiction before. They are freaky, scary, impressive in design, and yet tragic, too. In brief, the plot is about a virus that threatens to wipe out every living creature on the planet, and one girl called Amy who holds the key to saving the world. Yes, the whole virus thing has been done before, just as it being related to the military messing with science. But the scale of this novel makes it something else altogether: the world-painting, the characterisation, the breadth of vision, the graphic action sequences, and the moments of tenderness interspersed between the horror of what’s taking place. One small warning, about a third of the way into the novel, the author does a time-jump of nearly a century, seemingly leaving a whole load of characters behind. This caused me a monumental schism in the head when it happened and for about 20 pages I was annoyed. But this feeling passed as things fell into place and I realised the author had a valid reason for doing this, although he risked causing some of his readers to abandon the book at an early stage. Take it from me, you will forgive him if you persevere. To quote Stephen King yet again: “Read this book and the ordinary world disappears”. Great review, Sarah. It sounds like quite a scary book. It is scary, Sylvia, although I don’t get easily scared by fiction. But give me something freaky to read that’s non-fiction, then I’m a total wuss! I can never get my head around reading a novel of that length. Don’t tell anyone but it is why I didn’t read the Harry Potter books. I did read them, but each one got longer and longer. Frankly, I was totally confused by the last 100 pages of the final book. It was if JKR was under pressure to complete it by a deadline, not giving her enough time to read it through and see it from where the reader was sitting. I was particularly confused by all the magical wands being wielded about! great review!! and another on my list. Definitely for your list, Cybele. Near the top even (after my book of course!). You wrote an intriguing review and I would certainly read it if I hate more time. My own projects are dominating. For me, taking breaks for reading is essential to my well-being, otherwise I become too obsessed with my own projects and end up very stressed, overtired, and in a negative state of mind. I’m the opposite. I get stress if I have things piling up and I’m spending my time relaxing. I guess either way I end up stressed.